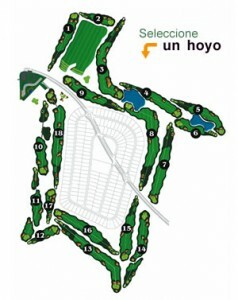 ALBORAN GOLF, whose design has been done by the renowned golf architect Ramón Espinosa, built and managed by Garden & Golf, has an 18-hole Championship “Par 72”, 6,278 meters long, a spacious dance practices and different training zones. The designer has achieved an important balance between the different holes in both its length and orientation and location of the various elements of the course (bunkers, streams, lakes, etc …) to enjoy golf on a challenging course that is able to test us in every one of the holes. The 66 bunkers are strategically placed along each and every one of the holes, do not slip up in no time allowing the player. 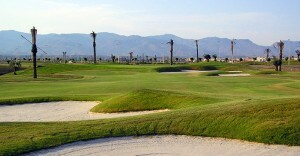 Has recently been the site of recent Mediterranean Games Almeria 2005 in which the Spanish team captured medals.